As a savvy homeowner you probably realize the importance of getting Allen Carpet Cleaning, but it's about more than relying on a cleaning machine you can rent on your own for a DIY project. 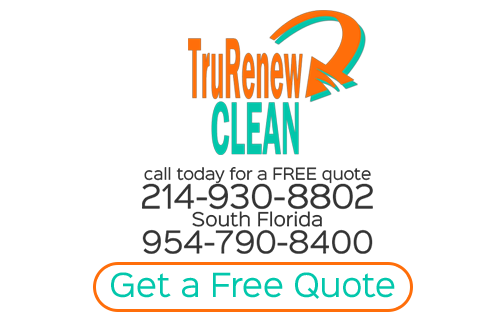 When you want a true professional to get the job done, the name to rely on is Trurenew Clean. With over 14 plus years of hands on industry experience behind the crew that can clean for you, you can rest assured you are getting the best there is. A completely clean home means that you need to be assured that the clean you get is one that starts all the way down at the carpet fibers. Too many homeowners rely on using a store-bought cleaner to get the job done yet one of the most common requests our Carpet Cleaning Company gets is for pet stain and odor remediation. This is not the type of task you can take care of with just over the counter techniques; these products end up doing more harm than good. Some homeowners ask us about what the benefits are of getting ongoing Allen Carpet Cleaning and maintenance. While an initial cleaning is a great first step, it doesn't offer the type of long term protection you need to keep your carpeting clean and intact. Your flooring continues to be subjected to dirt and grime and wear and tear and if you don't want to have to replace it before it's time, this type of service makes the most sense. You may be aware of the fact that the best way to keep your flooring looking its best is through Allen Wood Floor Cleaning. There are times when you know you need this level of professional work, such as part of water damage restoration following flooding, when preparing to put your home on the market or in order to prepare for hosting holiday festivities at your home. Yet even if you do not have a special reason to get your floors cleaned, it's all about protecting your floors and getting the best look and performance from them long term. On your checklist of tasks to take care of for making sure your home is clean from top to bottom, don't overlook the importance of getting your drapery and upholstery taken care of as well. These are fabrics that, if left uncared for, act as nothing more than dirt and dust traps and simply vacuuming just isn't enough. If you are ready to take care of your Allen Upholstery Cleaning and similar tasks for a total house cleaning, give the Trurenew Clean crew a call. If you are looking for Allen Carpet Cleaning then please call 214-930-8802 or complete our online request form.